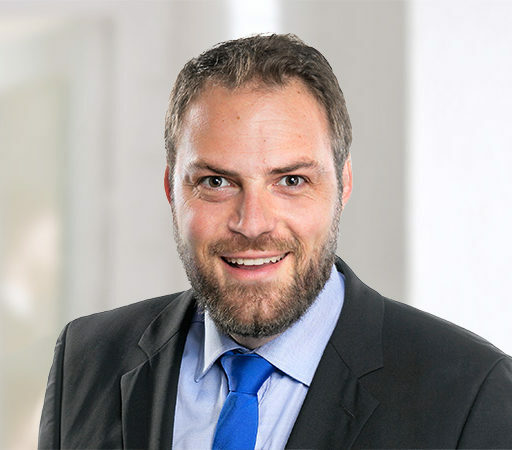 Dr. Philipp Stompfe ist Anwalt bei Alexander & Partner, primär beschäftigt mit internationalem Schiedsrecht und Arbitration, und Lehrbeauftragter für internationales Investitionsrecht an der Universität Köln. On 19 December 2018, the German government has passed amendments to the German Foreign Trade and Payments Act (“AWG”) and to the German Foreign Trade and Payment Ordinance (“AWV”) whose compatibility with European law is highly questionable. The structure and scope of investment review provided for under the AWG in conjunction with the AWV is that the Federal Ministry of Economics, the competent German authority, possesses an extensive ex-post examination competence regarding the acquisition of shares of German companies by third-country nationals. Of particular importance for foreign direct investments (FDI) is the screening of sector specific and cross-sectoral investments by third-country nationals pursuant to Sec. 55 et seq. AWV. In this regard, the German legislator has lowered the threshold for the screening of FDI to the acquisition of 10% of the voting rights of a German company being active in the military and encryption sector and of German companies which are operating in the field of critical infrastructure according to the Regulation for Identifying Critical Infrastructure. Lowering the threshold to the acquisition of 10% of the voting rights raises serious concerns about its compatibility with European law, in particular with the fundamental principle of free movement of capital pursuant to Article 63 of the Treaty on the Functioning of the European Union (TFEU). In this context, the application ratio of freedom of establishment pursuant to Article 49 TFEU and free movement of capital as well as the possible existence of grounds of justification with regards to restrictions to the scope of free movement of capital are the pertinent questions. First, the competitive relationship between the freedom of establishment and the free movement of capital needs to be addressed and must finally be determined. The European Court of Justice (ECJ), supported by legal commentators, has been of the opinion that in certain situations the principle of free movement of capital is superseded by the principle of freedom of establishment. In particular, the freedom of establishment shall be lex specialis with regards to regulations which are “intended to apply only to those shareholdings which enable the holder to exert a definite influence on a company’s decisions and to determine its activities” (ECJ, ECLI:EU:C:2012:707, para. 91). Furthermore, the ECJ has explained that the relevant shareholder must obtain a “substantial holding in the nominal capital of the company” (ECJ, ECLI:EU:C:2007:273, para. 21). Free movement of capital, contrary to freedom of establishment, explicitly includes citizens and corporations of third countries in its scope of protection. Therefore, a strict application of the previous ECJ jurisprudence would, as a direct consequence, lead to the fact that third-country nationals would rigidly be deprived of any protection under European law, rendering Article 63 TFEU completely meaningless. Moreover, the intrinsic preconditions of “definite influence” and the possibility of “determining company’s activities”, as stipulated by the ECJ, underline the inapplicability of the relevant cases for the circumstances of the present case. Especially with regards to German company law, the ECJ has generally linked the aspects of “definite and dominant influence” to the acquisition of at least 25% of the voting rights, giving the purchaser certain rights to block corporate decisions such as amendments to the articles of association and liquidation decisions (blocking minority). However, does the acquisition of a blocking minority really suffice to qualify as purchasing “definite” and “dominant” influence of a company? In any case, the acquisition of 10% of voting rights is, as such, insufficient to assume a substantial holding in the nominal capital of the company in the form of a controlling stake. In addition, the existing ECJ jurisprudence on the inapplicability of free movement of capital finds its basis exclusively in cases dealing with taxation, which does not constitute a generalizable field of law that would then allow to prohibit third-country nationals to acquire company shares. As a result, I find it more convincing to apply the principle of free movement of capital to the present case. The wide application of the principle of free movement of capital does not exist without any legitimate restrictions. In particular, according to Article 65(1)(b) TFEU, Member States are entitled to take measures which are justified on grounds of public policy or public security. The statutory concept of public policy or public security within the AWG and AWV explicitly refers to Article 65(1) TFEU and, hence, has to be interpreted and applied in accordance with EU law. In this regard, the ECJ has developed compulsory criteria which must be met in order to justify any restrictions regarding the free movement of capital by relying on the exemption of public policy or public security. It should be considered, first, in accordance with the ECJ judgement Scientology, that “public policy and public security may be relied on only if there is a genuine and sufficiently serious threat to a fundamental interest of society. Moreover, those derogations must not be misapplied so as, in fact, to serve purely economic ends” (ECJ, ECLI:EU:C:2000:124, para. 17). Furthermore, any restrictions from the Member States must observe the legal principle of proportionality, legal certainty, and predictability. Considering the unambiguous legal framework under which the ECJ permits restrictions to the fundamental freedom of free movement of capital it can well be concluded that the latest amendments to the AWV are in violation of these mandatory requirements. The relevant provisions of the AWG and AWV merely speak of a risk for public policy or public security without any sustainable and adequate ascertainment. The AWV provides no reliable, precise and objective indication as to the specific circumstances under which an acquisition by a foreign investor will be prohibited due to the constitution of a serious risk to fundamental public interests (public policy or public security). Furthermore, the German government has failed to determine which capabilities of exerting influence and which specific corporate decisions, in the context of “definite and dominant influence” are sufficient to pose a risk to public policy or public security. The mere reference to the definition of “critical infrastructure” according to the Regulation for Identifying Critical Infrastructure (BSI-KritisV) does, in any event, not suffice. Moreover, and most importantly, the German government has not provided any explanations why the review triggering threshold has been lowered to the acquisition of 10% of the relevant voting rights. Why not 20%? Why not 5%? The German government explains in its very own reasons of the current AWV amendments that the previous legal situation of a threshold of 25% of foreign shareholding was justified due to the foreign shareholder obtaining certain blocking rights, as described above (blocking minority). In contrast, the German government does not provide transparent reasons for establishing the 10% threshold. This vagueness of providing solid reasons for the determining the 10% threshold must be considered intentional. However, one possible explanation might be the expansion of political judicial competence and decision-making scope in order to ensure the compliance of third-country acquisitions with general economic-political goals. Additionally, merely protectionist considerations can also not be excluded. Ultimately, both potential explanations are legally not appropriate to justify restrictions of free movement of capital with the exemption of public policy or public security. In addition, the ECJ has explicitly pointed out that the acquisition of 10% of shares of a company operating in a sensitive sector or any other acquisition conferring significant influence on such a company cannot, as a general rule, be regarded as a real and serious enough threat to public policy or public security (ECJ, ECLI:EU:C:2012:694, para. 69). The German government has constantly repeated in its political and legal statements that the overriding aim of the various AWG and AWV amendments has been to establish stricter review competences and to expand possible prohibition powers with regard to the acquisition of German companies by foreign stated-owned companies and state fonds. Therefore, the amended AWV is supposed to primarily target only acquisitions of stated-owned companies and state fonds from outside the European Union, in particular China. However, the permissible scope of investment review contained within the AWG and the AWV is by no means limited to stated-owned companies and state fonds, but is also explicitly applicable to private companies. By amending the AWV in its latest version the German government has overstepped the mark in terms of what is needed in order to guarantee public policy or security regarding the acquisition of German companies by third-country nationals. Therefore, good and solid grounds exist to presume that those amendments are in violation of fundamental principles of European law, namely the free movement of capital. In particular, the lack of precision under which specific circumstances an acquisition of voting rights might be prohibited does not enable the concerned investors to be apprised of the scope of its respective rights and obligations and, hence, constitutes a violation of the principle of legal certainty. Furthermore, the manifestation of the 10% threshold without providing transparent reasons for it in conjunction with the non-restriction of the screening competence to state-owned companies and state fonds violates the principle of proportionality. Out of a legal policy perspective Germany is expending its economic protectionism and thereby unfortunately creating a new “Berlin Wall” for FDI. The concrete economic implications remain to be seen. SUGGESTED CITATION Stompfe, Philipp: Rebuilding the Berlin Wall?, VerfBlog, 2019/2/06, https://verfassungsblog.de/rebuilding-the-berlin-wall/, DOI: https://doi.org/10.17176/20190211-213706-0.